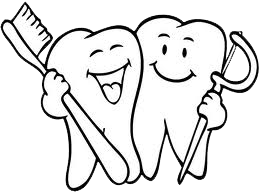 Regular dental exams are an important part of preventive health care. During a dental exam, Dr. Irina will clean your teeth and identify gum inflammation or bone loss. Dr. Irina will evaluate your risk of developing tooth decay and other oral health problems, as well as check your face, neck and mouth for abnormalities. A dental exam might also include dental X-rays or other diagnostic procedures. A dental exam also gives you the opportunity to ask questions to Dr Irina about your oral health. You brush your teeth every day, but are you doing it properly? Here's how to brush: Hold your toothbrush at a slight angle against your teeth and brush with short back-and-forth motions. Remember to brush the inside and chewing surfaces of your teeth, as well as your tongue. Avoid vigorous or harsh scrubbing, which can irritate your gums. Or use an electric toothbrush. Either way, brush your teeth at least twice a day: in the morning and before you go to bed.